Why Specify Sensing Edges for Automatic Gates? The International Building Code (IBC-2009) and the International Fire Code (IFC-2009) require motorized gates comply with the requirements of UL325. Architects and Construction Specifiers rely on Miller Edge products to comply with safety standards and building codes for motorized doors and gates. While being convenient and efficient, motorized doors and gates may create a risk for people, vehicles and objects in their path. Safety Edges attach to the leading edge of the door or gate to offer protection at the point of entrapment. Our Sensing Edges contain flexible Alumaglas® contact elements separated by soft foam rubber cushion. When touched the edge compresses causing the contact elements to touch and send an immediate electrical signal to the motor to stop and/or reverse. For over 60 years, architects have relied on Miller Edge to provide their clients with safer environments. 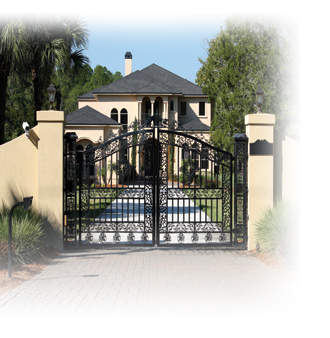 Miller Edge offers a variety of tested Sensing Solutions to help keep your clients and their property safe from damage or injury caused by motorized doors and gates. As North America's largest manufacturer of door and gate sensing products Miller Edge manufactures a complete line of products to aid in compliance with current safety standards. Many of our Sensing Edges and controls follow standard designs, however we are always open to new designs and custom applications. We welcome you to browse our products and contact us for any assistance with design or specifications.